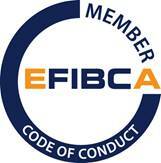 The EFIBCA Code of Conduct (CoC) is a voluntary agreement, through which member companies wish to guarantee particularly the observance of globally recognised principles of ethical and moral behaviour, as well as the standards of proper business conduct in the areas of competition and antitrust law (compliance). This also means promoting fair and sustainable standards dealing with suppliers and customers as well as own company personnel. Shandong Xingguo Xinli Plastics Technology Co., LTD.